Today Dale Bain, Mario Mejia and I attended church service with Pastor Miguel Calderon doing the preaching and a number of community/church members performing a number of songs and sharing the Gospel. Today’s service lasted nearly 3 ½ hours and we had the wonderful opportunity to share in communion, as well as Dale and I sharing a couple Gospel messages with the congregation. 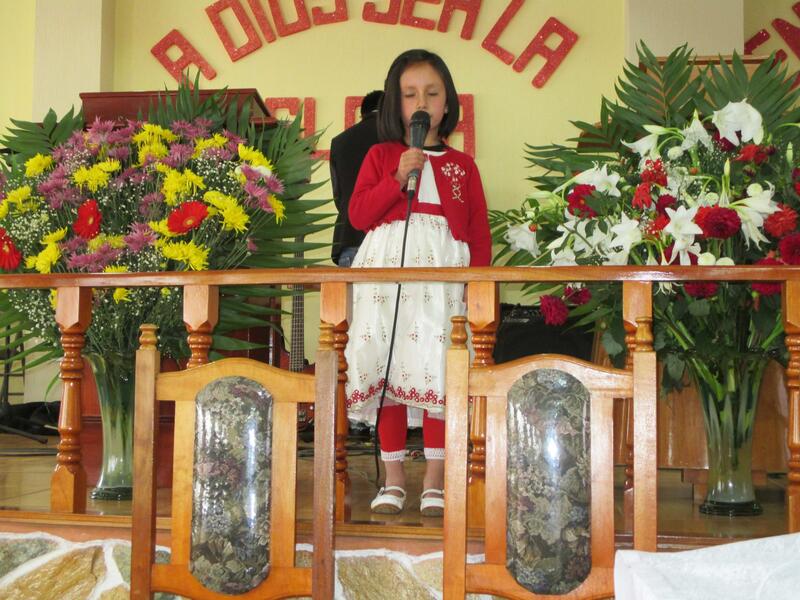 This service was primarily focused around praise, worship and prayer for the Agua Viva team. Today’s experience rates in the top two spiritual experiences that I’ve experienced in my mission trips with AVI – Pastor Calderon’s message, the music and the prayers humbled me completely and I was overcome with emotion (and tears) for the love and grace God was pouring out on us throughout the service. After the service we had the chance to catch up with one of our operators to discuss the LWW system and production, then quickly moved to a lunch with the church elders at our friend Oceil’s home. Dale Bain particularly enjoyed the conversation, which included some discussion on how the church elders carry out their work in the church. 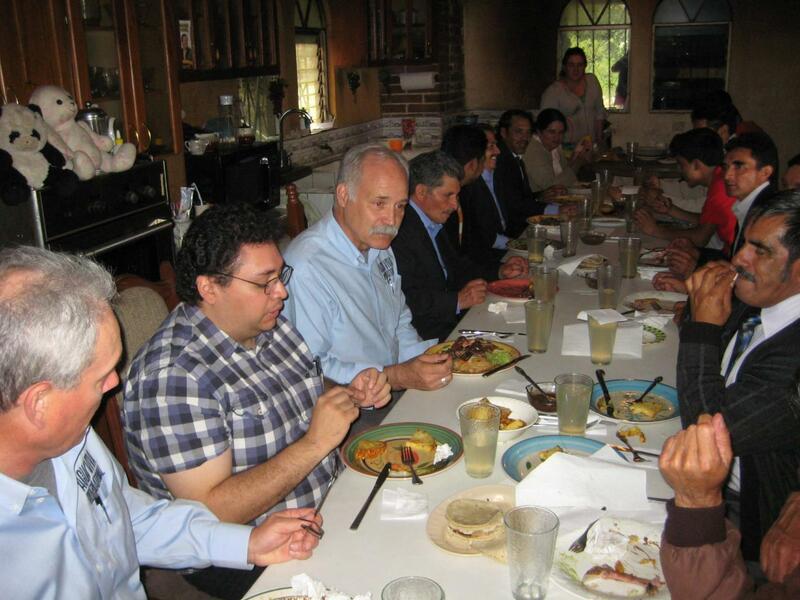 We enjoyed a wonderful meal of steak, tomalitos and other side dishes. It has been about 2 ½ years since I’ve seen my friends and it was great to catch up. After lunch we had the opportunity to see the results of the “pig farm” donation that AVI made to Franklin Calderon, one of the system operators. To say that the Calderon family has a viable pig operation is nearly an understatement! 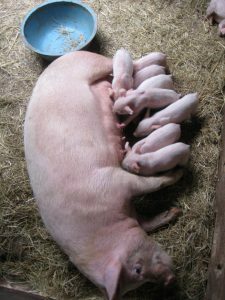 We got to see three litters of piglets (at least 30!) and three large sows. The fruits of AVI’s initial donation is reaping rewards for the family!